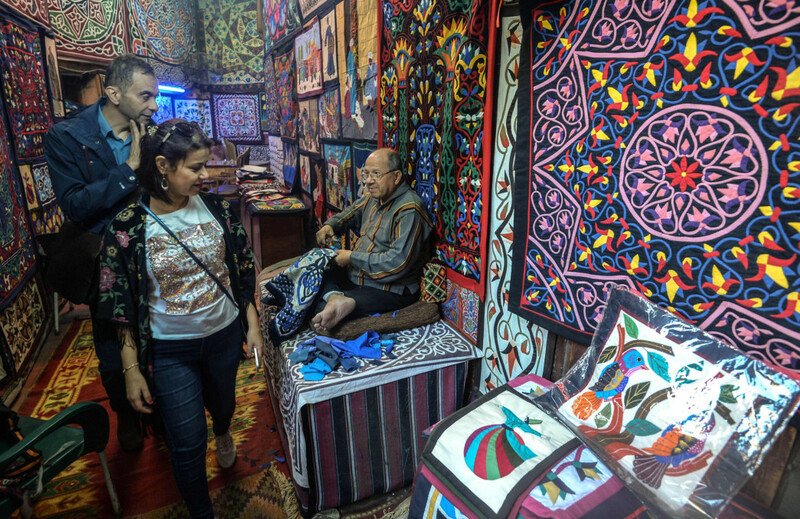 Cairo: Mohsen Al Khayami has for years watched sadly as his once lucrative craft business dwindled and fellow artisans deserted the ancient art known as Khayamiya, or tentmaking, for better paying jobs. 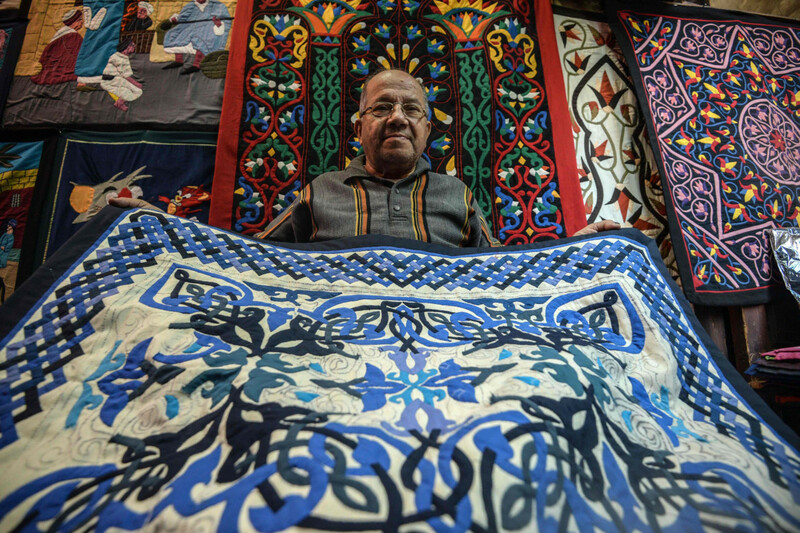 The 68 year-old, a master of one of Egypt’s most traditional crafts, has been handstitching the decorative appliques that nowadays can range from wall hangings to bed quilts for more than half a century, so long that his customers have named him after his art. “I learned it when I was eight,” he told AFP. These days, Khayamiya refers to the creation of ornamental items mostly in cotton that can also include pillow cases and throws, although the traditional name - tentmaking when translated into English - endures. 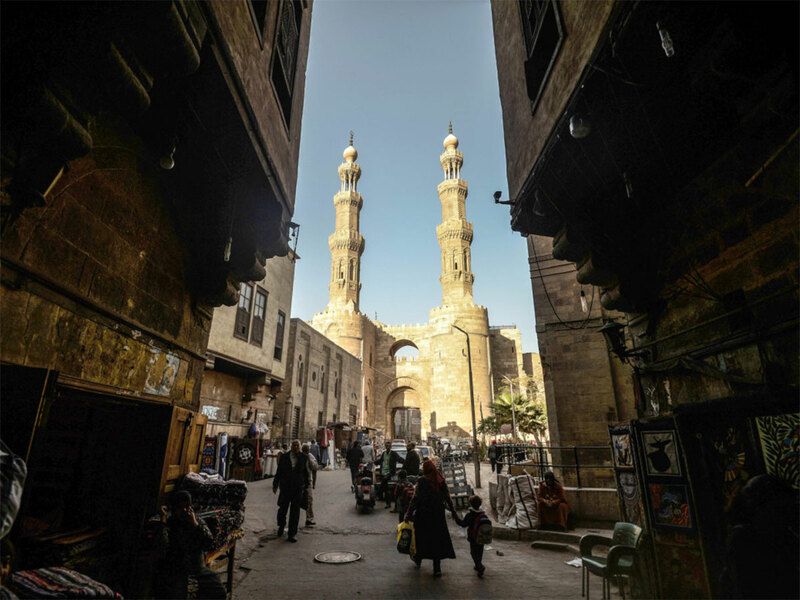 Khayami’s shop is among two dozen others lining the covered Khayamia Street or the Street of Tentmakers, opposite the towering 11th century Bab Zuweila, one of Old Cairo’s main surviving gates. 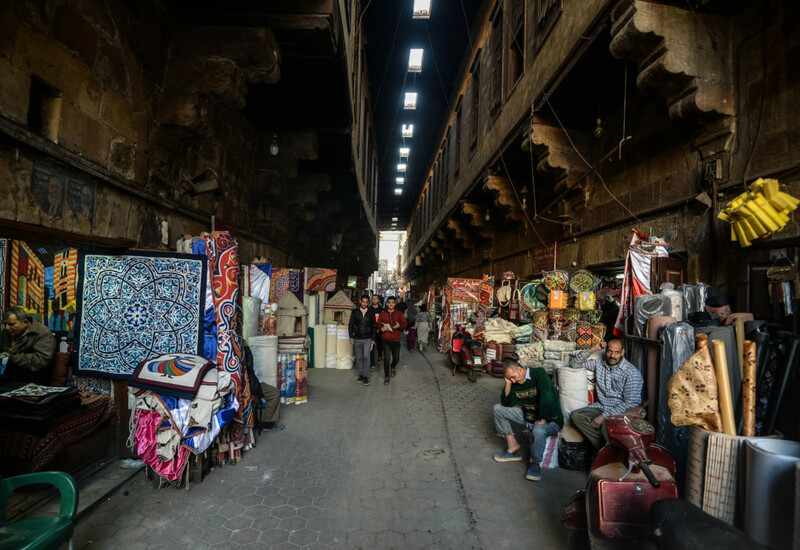 The street has lured tourists for years and the craftsmen’s shops were among the main draws for foreign visitors until the 2011 uprising that toppled longtime ruler Hosni Mubarak. 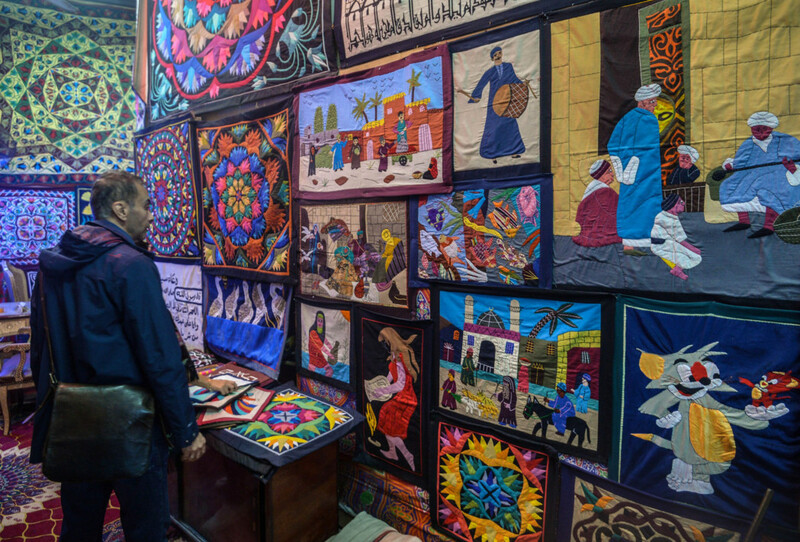 A man looks at wall hangings at his shop in Cairo's Khayamia Street. 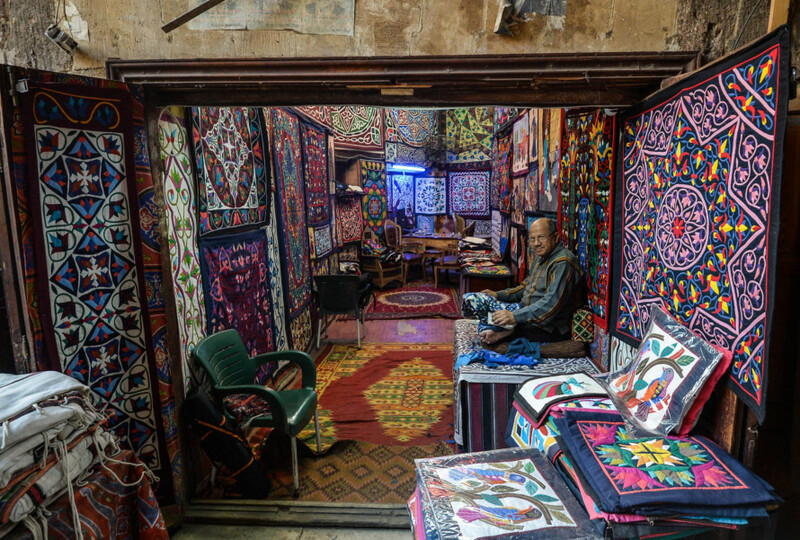 But Khayami still ostentatiously exhibits around his shop his elaborately stitched wall hangings and colourful tapestries replete with pharaonic motifs copied from ancient tombs, Arabesque designs, Kufic calligraphy of Arabic proverbs and Koranic texts. The centuries-old art of Khayamiya goes back to the time of travelling caravans, when huge tent pavilions were used as shields from the desert’s searing sun. Today, many are still used as backdrops for weddings, funerals and religious celebrations of the Holy month of Ramadan as well as the birthday of Prophet Mohammed (PBUH) known as Mawlid. Khayami says it’s hard to know the exact number of Khayamia craftspeople left as many work from their homes or workshops outside the area. 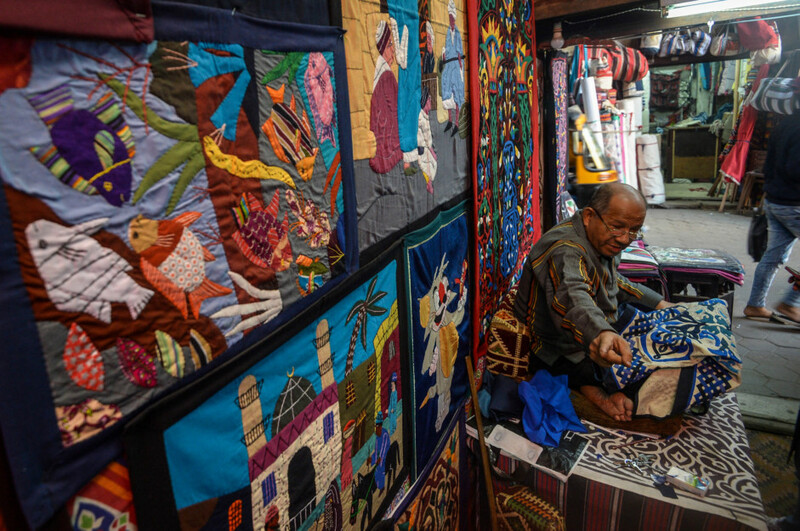 A similar figure was provided by Mamdouh Al Sheribini, the executive director of the Handicraft Industry Chamber. “The pace of people abandoning the craft has increased since 2011. 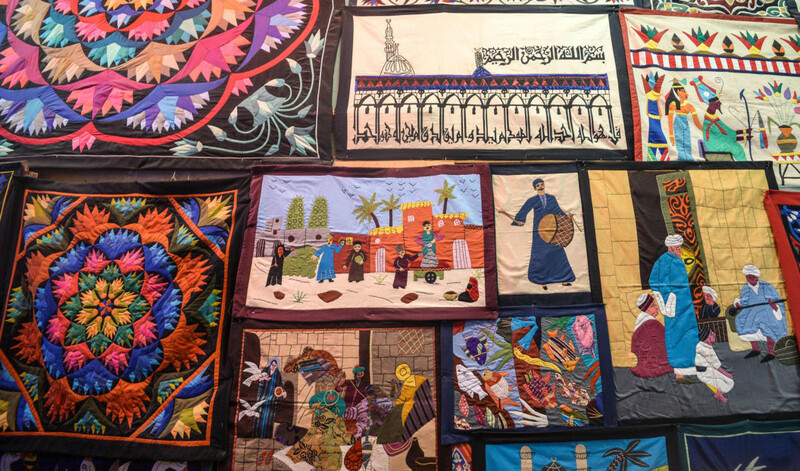 Young people do not have the patience for learning a craft that takes time to master,” Khayami said. “If labourers keep leaving one after the other, the craft may soon become extinct,” said Fathy.